Zora « Hercules and the umpire. 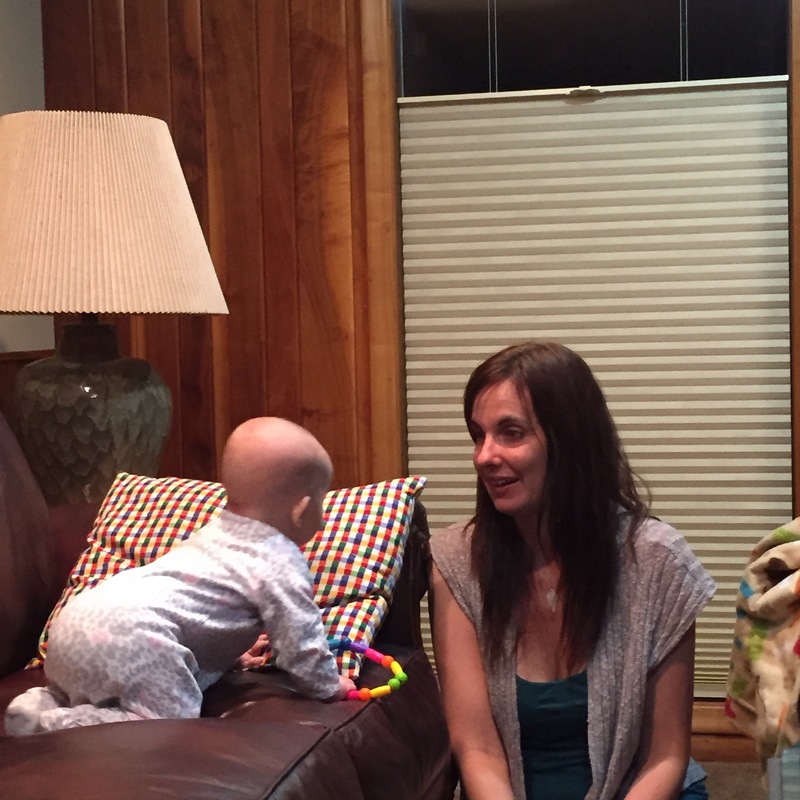 Last week, little Zora accompanied her mom, our daughter Lisa, on a quick visit to the US. (Actually, Zora was the chaperon.) Lisa came back to attend a wedding and celebrate turning 40 with many of her girlfriends. On the way here, she stopped off to see her sister Marne in New Mexico. Zora and her mom are now back in China after leaving early yesterday. Zora talks to Lisa, seemingly speaking Mandarin. 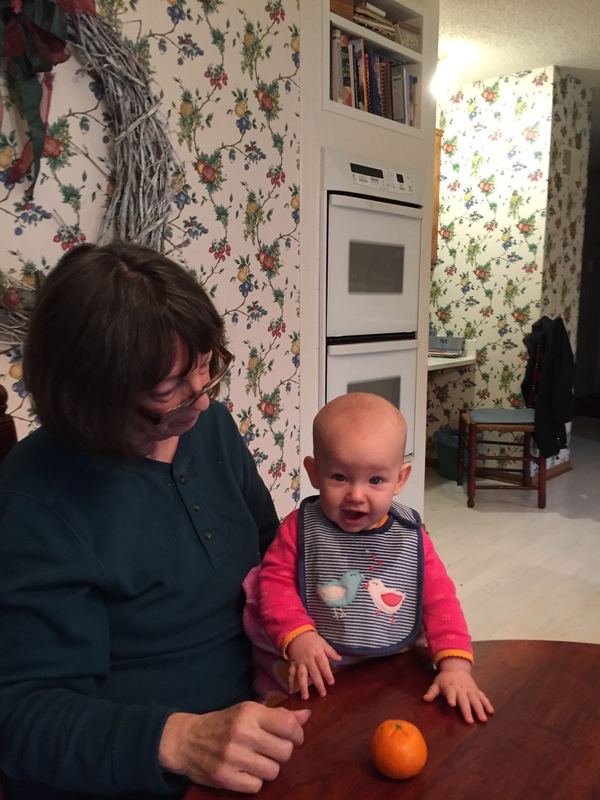 Gramma and Zora debate the taste of a Mandarin orange. Goofy Grampa. (that can’t be translated). Happy birthday to Lisa. Zora is adorable. It would be good to know what she was thinking when she was looking at you – perhaps something like – who is that guy? Zora seems very content and happy when sitting on the lap of her gramma. 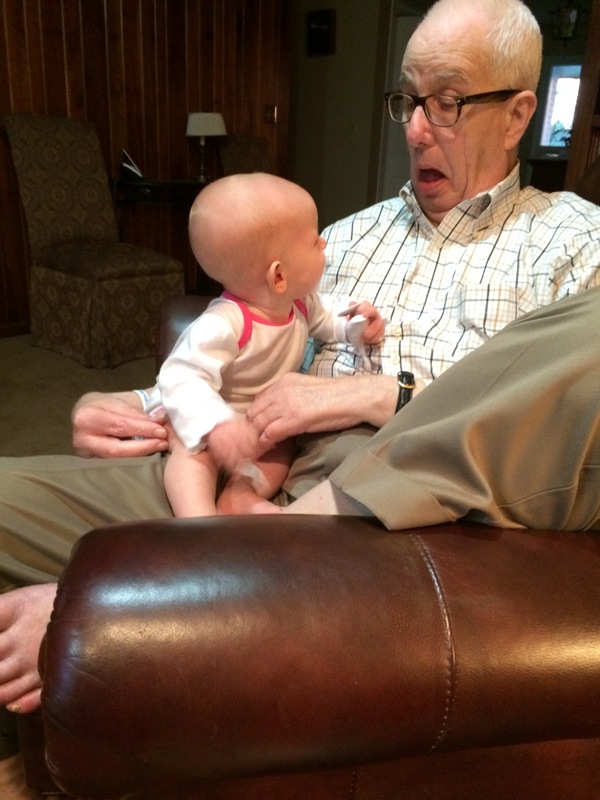 Goofy grandpa is an eminent title, I have devoted much effort to earning it from my nine. You seem to be a natural. Beautiful girl! Looks like it was a great visit. 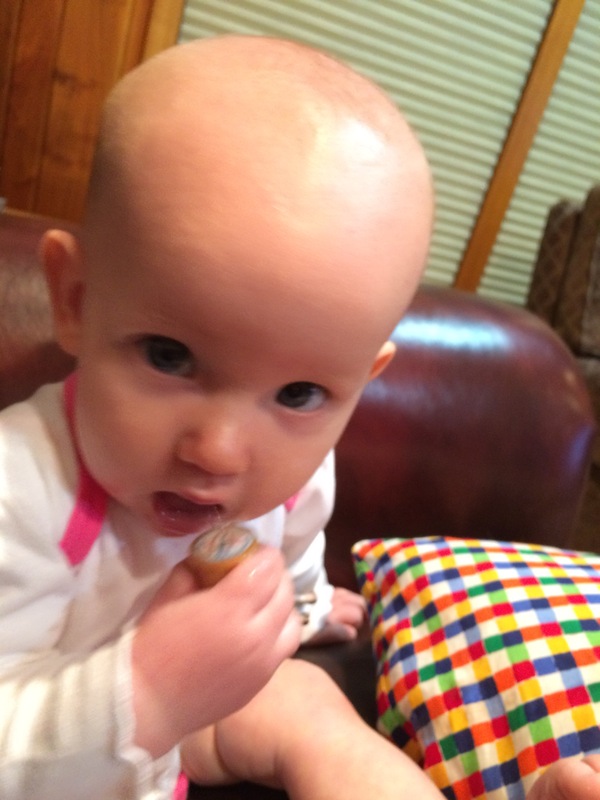 Cute – Zora that is! And it is hard to believe that Lisa is 40. It seems like yesterday she was 11.